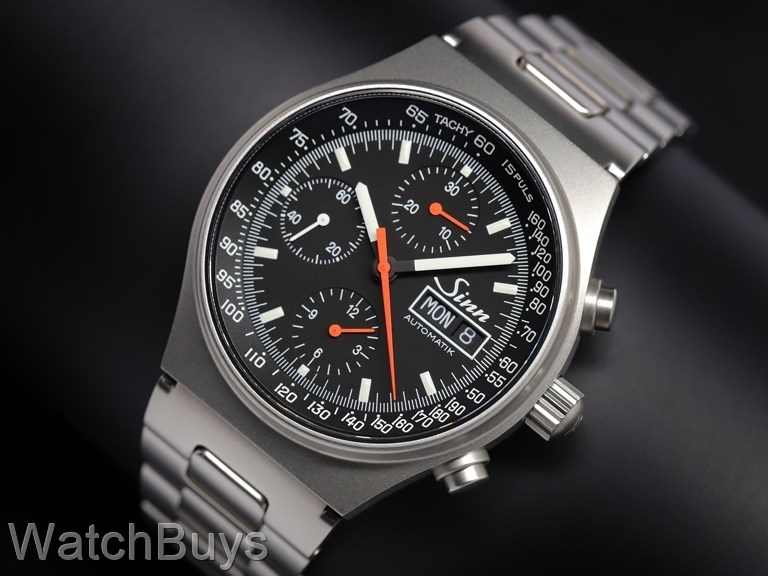 Another point that Sinn got right on this watch is the case and bracelet finish. Made from 316L stainless steel, the finish is highly bead blasted with no shiny surfaces. The watch uses a screw down crown and is rated at 200 meters for water resistance. Functions include hours, minutes, subsidiary seconds, day, date, pulsometer and tachymeter scales, and complete chronograph functions on a stainless steel bracelet. Verified Owner Comments: I can’t say enough about the company and their products. I recently purchased a Sinn 104 and 144. They exceeded beyond my expectations. When I called in the owner answered. We spoke for 30 minutes about how we both got started into watches. It’s been my pleasure doing business with WatchBuys. I’ll be lifelong customer. Verified Owner Comments: This is an excellent watch. I was worried about how the watch would wear, but the curved case back and short lug to lug hides its size very well. It is extremely legible with the color differentiation for the chronograph registers and the tapered bracelet is very comfortable. The movement is decorated very nicely and is a nice touch with the all business dial. 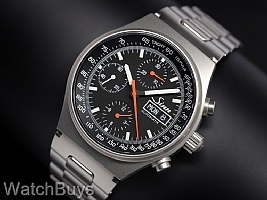 Easily my favorite chronograph, and will buy from Watchbuys again (2nd purchase).